Two weeks ago, I bought two seats, both Ultrashield. For the driver (me), a 16”/20* Road Race VS Halo. 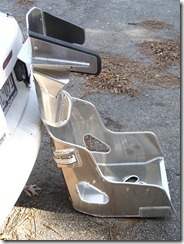 For the passenger, a 17”/20* Spec Miata seat. The SM seat doesn’t have shoulder wings, or a halo. But, its small enough to fit next to the VS Halo. I bought it a little larger to accommodate a wider variety of passengers. Track days are less risky than wheel-2-wheel racin’…so this seemed like a good compromise. 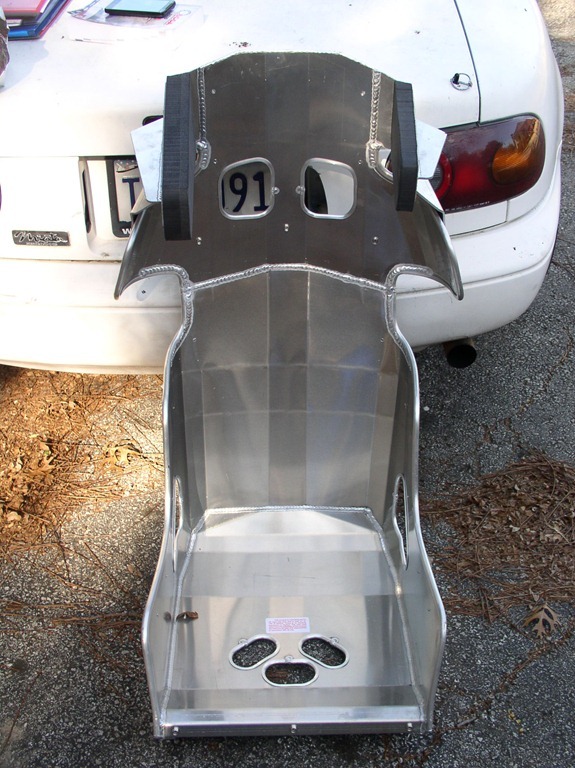 However, it means that I have two seats and harnesses to mount. I also bought a Crown 5-pt latch-link harness for the passenger vs. the Crow 6pt F1 style harness for the driver (more on this later). 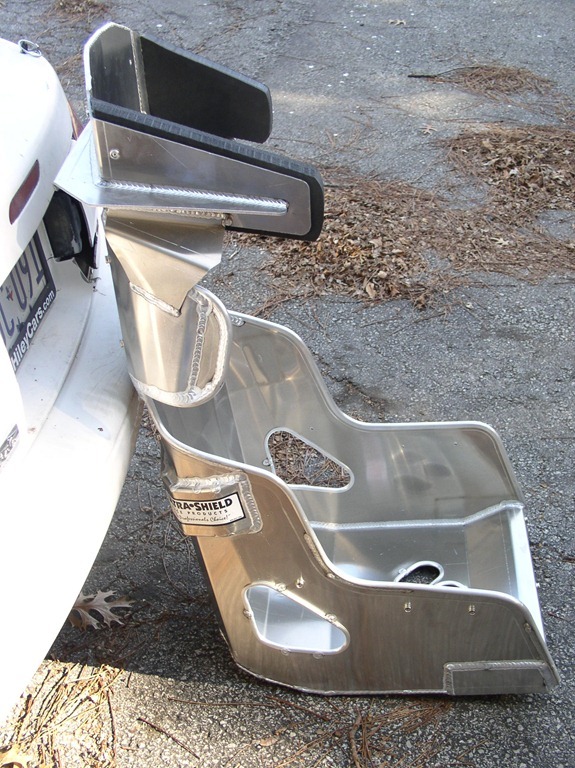 After test fitting the seat last week and some discussion on specmiata.com/mazdaracers.com, I decided to mount the seat on rails mounted to the stock humps. The idea being to keep the seats off the floor while still maintaining some clearance between my helmet and the roof. So, I bought 2 sets of 3/16” x 1” x 48” long mild steel to use to make the rails. 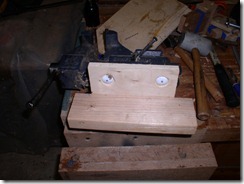 But, before I could make the rails I had to mount my bench vise. 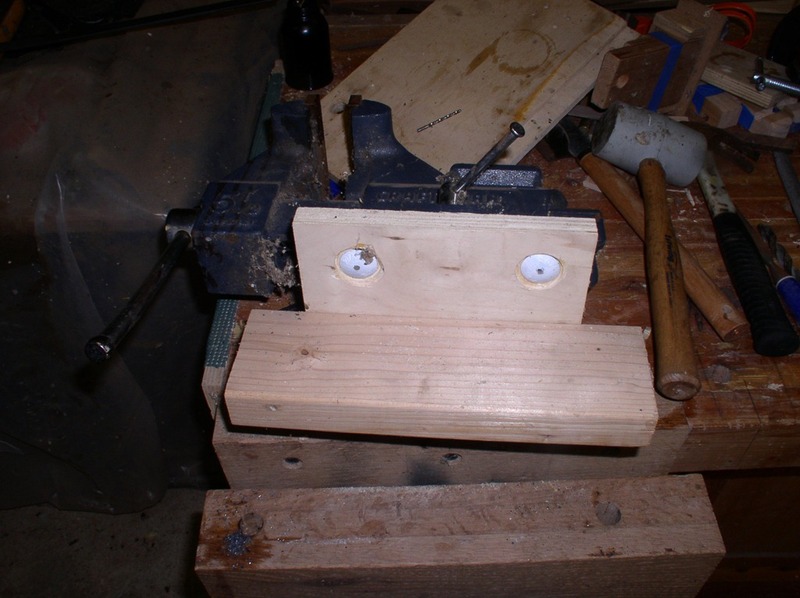 I haven’t used my bench vise since I moved from Colorado….7 years ago! 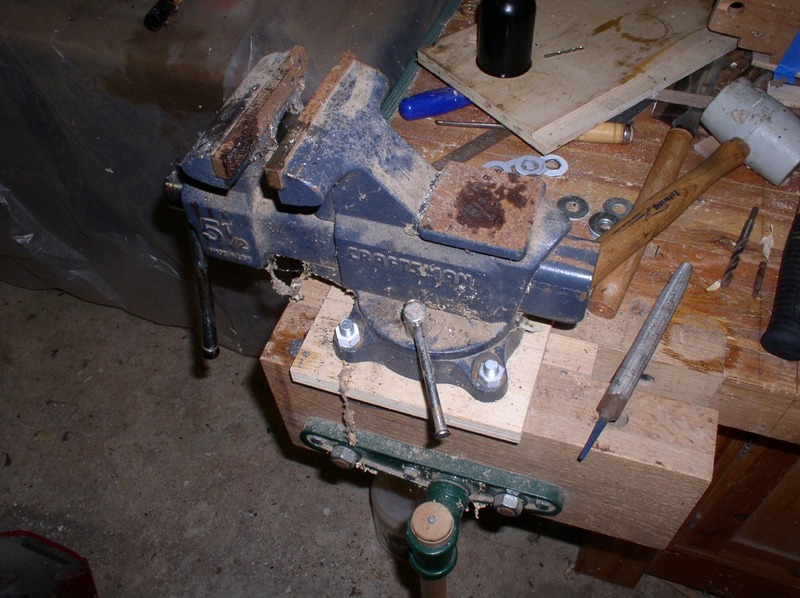 I’ve been doing mostly woodworking and my wood vises mounted to my workbench are the right tool for that job. Anyway, I made a plywood plate and screwed and glued it to a length of 2×4. This allows me to clamp the bench vise into my woodworking vise.